This year is shaping up to be the best in retail since the economic downturn according to the latest figures for July from the Central Statistics Office. July of this year has seen the volume of retail sales rise to the highest in eight years as it gained 6.7pc on the same month last year. Meanwhile, the value of sales across the sector grew by 4.2pc when compared to July of 2014, registering its highest value of sales in six years. Ireland’s government expects the economy to grow by about 6% this year, far more than originally forecast after data showed that it grew by 1.9% quarter-on-quarter from April to June. 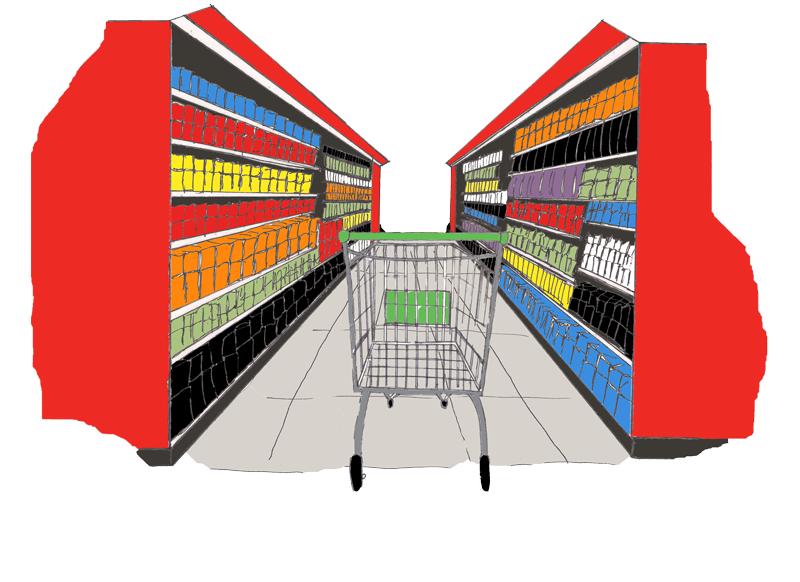 According to the latest Consumer Insights report from Empathy Research, over a third of Irish consumers (36%) say they purposely visit a supermarket at the end of the day to avail of heavily discounted products due to their short sell-by date. “What the heck is Primark?” queried a Boston Globe correspondent ahead of the opening of the Irish retailer’s US flagship. The question echoed the general mystified response here in Boston to a brand hitherto unknown in the US. Junction 14 in Turvey, Topaz Dublin Airport, Applegreen Motorway Service Area Lusk Northbound now go head-to-head across a number of categories at this year's highly-anticipated ceremony. Jct 4 Turvey and Topaz Dublin Airport have both been shortlisted in the Forecourt/Convenience Store of the Year, Category 2 with C-Store 1,101-1,750 sq ft. Almost 300 distinguished guests from across Ireland’s retail industry gathered in Dublin’s Royal Marine Hotel last night for the annual Grocery Management Awards, honouring management excellence in all areas of the industry, from deli, bakery and off-license management to supplier and customer services and more. RGDATA, the national representative association for 4,000 local and independent grocery stores across Ireland, has launched a new initiative for training its members and their staff in shops that are licensed to sell alcohol. The Irish Independent revealed earlier this year that Dunnes - the third-biggest player in Ireland's multi-billion euro grocery market after Tesco and Supervalu - is hoping to launch its online service this autumn. It already has an online site for clothing, but a grocery service is a massive undertaking, especially for a retailer that has no central distribution and still relies on daily deliveries to its stores. To celebrate the opening, Aldi will hosting a family fun day, serving tasty treats, with entertainers providing face painting, balloon modelling and games for the kids. The RedFM team were also on site playing music, with five shoppers set to win €100 each in shopping vouchers. Some 70 new jobs are to be created at a new 13,000sq foot Supervalu store in Newbridge, the supermarket has announced. The new store, which represents an investment of €2.2m, is located on the Athgarvan Road. Dream Doors, the UK's largest kitchen makeover retailer is expanding into Ireland, with the opening of its first franchised showroom in Belfast. The new store owner, Jon O'Hara, will also hold the Dream Doors master licence in Ireland, with a remit to find new franchisees in both Northern Ireland and the Republic of Ireland. Kingfisher, Europe’s largest home improvements retailer, said it could open 200 more of its strongly performing British Screwfix stores, as first-half group profit dipped due to adverse foreign exchange movements on Tuesday. Marks & Spencer Ireland has launched Spark Something Good, an initiative which aims to inspire and motivate its employees and customers to improve the lives of others by donating time to their local community. Spark Something Good Dublin will see the completion of 24 projects over seven days across the city and M&S is calling upon volunteers to get involved, aiming to inspire them to grab a shovel or pick up a paintbrush and take action for social good. IFTA, the Irish Film & Television Academy, has launched the new ‘IFTA Gala Television Awards’, which will take place on October 22nd at the Double Tree Hotel in Dublin. The annual IFTA Gala Television Awards Ceremony will celebrate and recognise the very best of Irish creative talent and Irish home-grown TV programming within 23 categories from entertainment, soap & comedy to factual, current affairs and news across all of the Irish broadcasters RTÉ One, RTÉ Two, TV3, 3e, TG4, Sky, UTV and BBC Northern Ireland. Shore Capital Stockbrokers, which tracks Applegreen stock, has said that the forecourt retailer is in line to deliver ‘very strong’ EPS growth in the coming years, ‘augmented by high returns across its various formats’. Property developer Noel Smyth’s Fitzwilliam Finance Partners plans to close Dublin department store Boyers with the potential loss of more than 80 jobs next January. Fitzwilliam recently took control of the Arnotts Group, which owner of both that store and Boyers in Dublin’s city centre. Aldi Stores (Ireland) has revealed to The Sunday Times that it has already introduced a "rounding" system across its 191 stores in the country for cash transactions. The decision makes Aldi the first supermarket to introduce a policy on rounding since it was decided during the summer that the Central Bank was to begin the process of phasing out 1c and 2c coins from October 28th. Tesco is set to post interim results next month that will indicate “an overwhelmingly positive message of trading improvements”, according to market analysts Bernstein Research. One year on from the appointment of Dave Lewis (pictured) as Tesco chief executive, Bernstein analyst Bruno Monteyne offered an appraisal of Tesco’s performance, saying that Lewis has “already delivered much more much faster than any of us would have expected the day he started. Consumer confidence and future investment plans could be hit by the latest bout of political instability in the North retail chiefs warned today on Monday as latest figures showed another drop in the number of people out spending cash in local shops and stores last month. Northern Ireland economic output grew for the fourth month in succession in August - but at a tiny rate. Data produced for Ulster Bank's Purchasing Managers' Index (PMI) by Markit found a further increase in new business and a quickening pace of job creation. The rate of cost inflation also ceased while companies left output prices unchanged by and large.